Good morning. It's Monday, April 8. 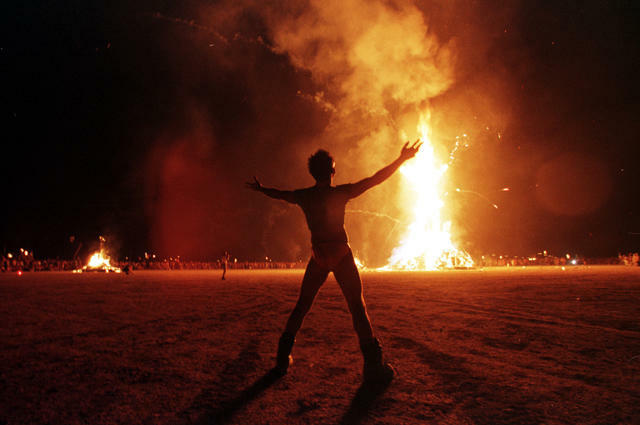 • Burning Man says new rules would spell the event's doom. • A San Francisco man picks through a billionaire's trash. • And the startling beauty of a hidden waterfall near Chico. Gov. 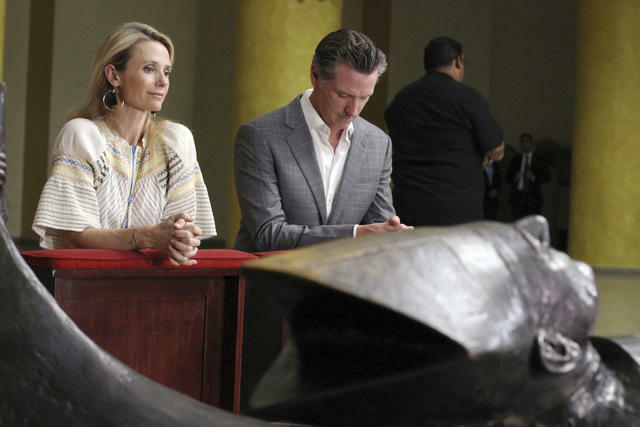 Gavin Newsom with his wife, Jennifer Siebel Newsom, visited the tomb of Archbishop Oscar Romero in San Salvador on Sunday. Trump, in Calexico on Friday, addressed migrants: "We can't take you anymore. We can't take you. Our country is full." A.P. Expensive dinners in Maui, tickets to sporting events, a free IMAX movie screening. Soft drink companies spent nearly $12 million over the last couple of years currying favor with state lawmakers to forestall any new taxes or warning labels. Asked why she attended a showing of "Black Panther" paid for by the soda industry, an assemblywoman explained that she is "supportive of the arts and celebrates diversity in cinema." 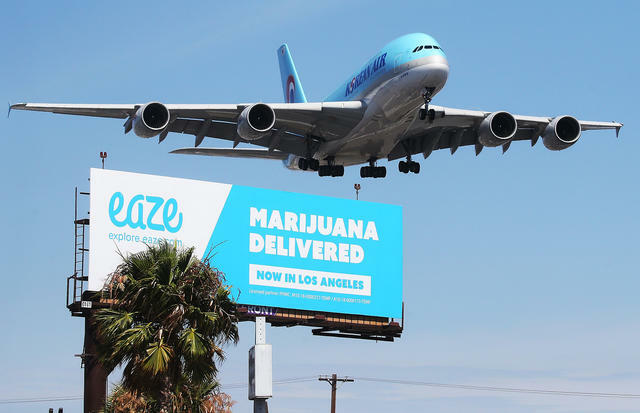 Some California cities aren't down with marijuana delivery. When California ended marijuana prohibition last year, cities and counties were allowed to craft their own rules, leading to a regulatory patchwork that the cannabis industry has found intolerable. Now 25 local governments, not content to simply outlaw marijuana sales, are trying to also ban delivery of cannabis within their borders. That has set up a legal showdown with the state. The head of the California Air National Guard, Maj. Gen. Clay L. Garrison, was relieved of his command after complaints of reprisals against whistleblowers. In 2015, a female member of the Guard reported that someone had urinated in her boots. High-ranking officers, including Garrison, were accused of trying to bury the episode and protect someone who may have been involved. The scandal became known as "Pissgate." A Bay Area police officer falsified 31 police reports — and kept his job. Officer Curtis Borman of Walnut Creek lost drugs, lied about his actions, and failed repeatedly to book photos and videos into evidence, according to police files. Details of Borman's case came to light under a new transparency law fiercely opposed by law enforcement unions. Festival organizers say new rules go against the spirit of the event. Organizers of Burning Man, the hedonistic art party in the Nevada desert, are pleading with the federal government to reconsider new requirements on the San Francisco-born festival. Among the measures: The festival must hire an outside security force to screen participants for drugs and weapons. The rules would "spell the end of the event as we know it," organizers said. The Prince Tree, above, is again in bloom. 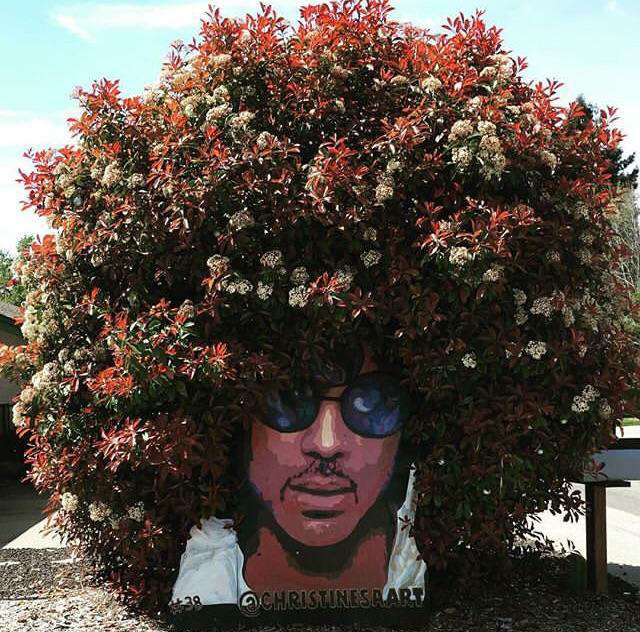 Shortly after Prince's death in 2016, a fan painted a 6-foot-tall mural of his face and placed it against a shrub outside her home in a suburb of Sacramento. It's since become an unlikely pilgrimage site. A recent view of Phantom Falls in North Table Mountain Ecological Reserve. The big rains of winter have California's waterfalls booming. 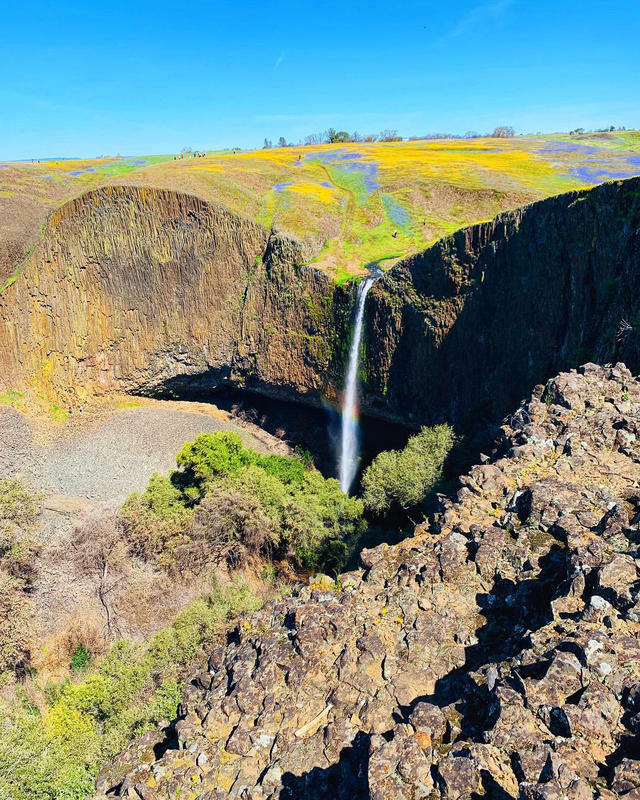 One of the state's most unique and lesser known is Phantom Falls, a seasonal wonder tucked within a nature reserve near Chico. Now's the time to visit, when the falls are flowing and the hills are carpeted in yellow and lavender wildflowers. A California Highway Patrol officer performing a traffic stop along Interstate 15 in Lake Elsinore was fatally struck by a vehicle that swerved into the shoulder on Saturday. The driver, Michael Callahan, was arrested on suspicion of murder and driving drunk in the killing of Sgt. Steve Licon, a 27-year veteran of the agency who was survived by his wife, daughter, and stepdaughter. A new stadium for the Rams and Chargers is slated to open in 2020. 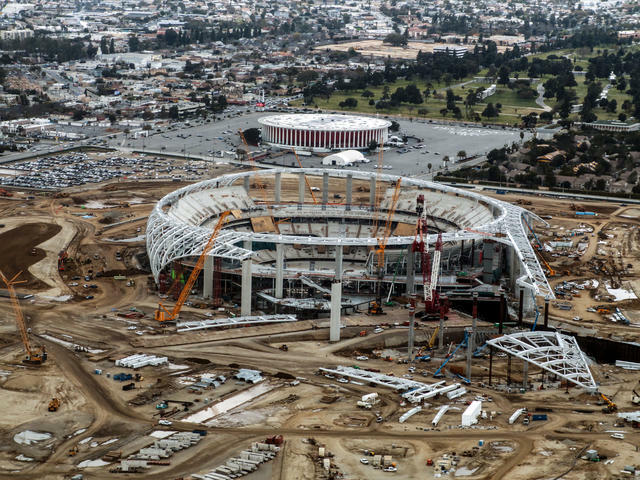 The country’s most expensive sports complex is being built for the Rams and Chargers in Inglewood, a city that is gentrifying fast. But nearby, the field for a girls’ softball team is covered with broken glass and deemed so dangerous that a recent game was cancelled. "There's something obscene about a multibillion-dollar sports and entertainment colossus rising in a city of falling-apart schools," the L.A. Times's Steve Lopez wrote. Many conflicting claims are being made about the situation along the southern border. The L.A. Times separated five misconceptions from facts. For example, some lawmakers have pushed the border wall as a way to keep narcotics out of the country, even though most drugs from Mexico come through official ports. "They want more fencing 'cause they believe it's going to keep out things like fentanyl," one expert said. "But that's just not how it's arriving." Nipsey Hussle performed in San Bernardino last year. 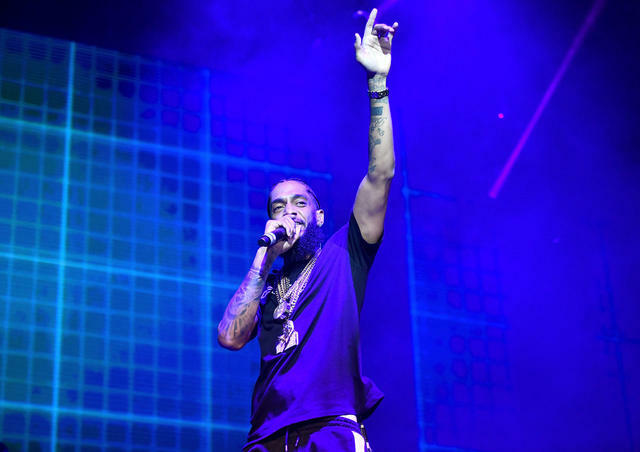 The death of rapper Nipsey Hussle has given way to a flood of conspiracy theories alluding to government involvement. "In Nipsey Hussle's case," The Atlantic's Jemele Hill wrote, "wasting time furthering conspiracy theories is only a distraction from unpacking why so many African-American boys and men are victimized by violence, or see it as the only way to resolve conflict." 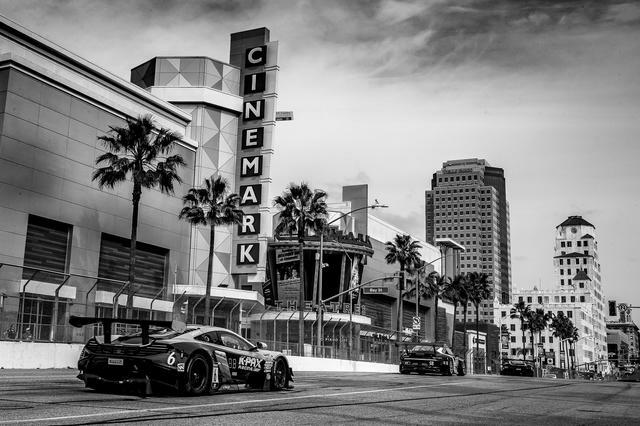 Cars raced down Bay Street during the 2017 Grand Prix of Long Beach. One of the biggest events of the year in California is a car race. While racing's center of gravity now resides in the Midwest, Southern California pioneered the sport in the early part of the 20th century, sprouting more official racing venues than any other region in the world. That legacy will be showcased this weekend with the kickoff of the Grand Prix of Long Beach, a white-knuckle street circuit that regularly draws crowds nearing 200,000 people. Gary Dahl with packages of his Pet Rocks in Los Gatos in 1975. It was 44 years ago this month that a freelance copywriter named Gary Dahl struck upon an improbable multimillion-dollar idea. Over beers at a Los Gatos bar, Dahl's buddies were lamenting the hassles of pets: the feeding, the walking, the cleaning up. "I own a pet rock," Dahl said in jest. It turned into a running joke, then a serious business idea. Dahl crafted a booklet for rock ownership modeled on dog training manuals. To calm your rock's nerves, he advised, place it on some old newspapers. "It will remain on the paper until you remove it," he wrote. 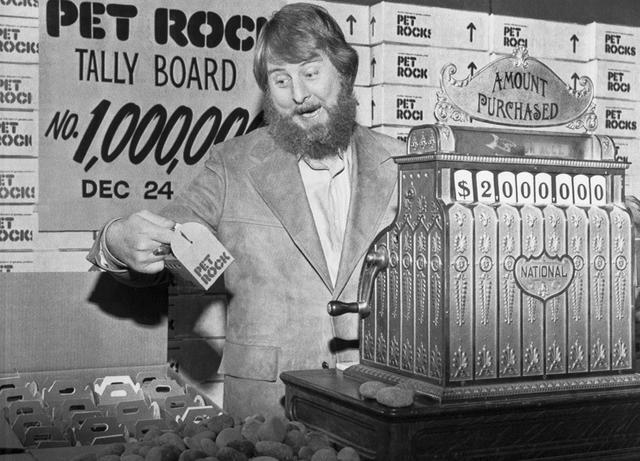 Pet Rocks were offered for $4 apiece, delivered in a box with air holes, during the 1975 holiday buying season. They were a sensation, with more than a million units sold. "People are so damn bored, tired of all their problems," Dahl told People magazine. "This takes them on a fantasy trip — you might say we've packaged a sense of humor." For Dahl, who died in 2015, the Pet Rock brought riches, but also unwanted attention. He told the A.P. that he was besieged by threats, lawsuits, and wannabe inventors seeking his advice on the next big thing. "Sometimes I look back and wonder if my life wouldn't have been simpler if I hadn't done it," he said. On the most recent episode of the California Sun Podcast, host Jeff Schechtman chatted with Dr. Tom Hoffman, project director of the Mars InSight mission at NASA's Jet Propulsion Laboratory in Pasadena. Listen and subscribe.